Hydraulic Equipment Supermarkets offer a huge range of options for High-Pressure Steel and Stainless Steel tube to suit most applications. If your application allows for it, i.e. there is space and little movement of the machine and components, then a hydraulic steel tube offers an efficient choice. 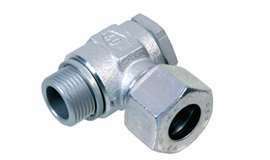 At Hydraulic Equipment Supermarkets, we stock a huge range of DIN Fittings in metric and imperial dimensions, Steel tube, Single and twin pipe clamp kits, SAE flanges and gauge connectors. We stock multiple diverse and reliable methods of connecting steel and other rigid tube. Within our extensive stock, we also have many variations of stud couplings, bulkheads, blanking plugs, tees, elbows, banjos, olives and cutting rings and more. 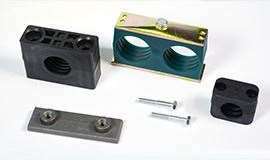 Our tube, fittings and pipe clamp kits are available in both heavy and light duty forms.